I love to make and eat idlis. I call them “little steamed rice pillows”, and they are traditionally a popular breakfast food throughout Southern India. 1) Soaking grains, legumes, nuts, and seeds removes phytic acid which inhibits proper digestion. 2) Fermentation helps to break down starches, making it easier for us to digest and metabolize nutrients. 3) Fermentation makes for a richer , more complex flavor. There are various recipes which I have tried, and I would like to share my latest idli creation using a beautiful organic pink rice from Madagascar. The pink hue of this sustainably harvested rice offered by Lotus Foods gives the idlis an alluring blush which is very pleasing to behold, and adds a wonderful delicate floral ambiance that conventional rice does not provide. Idli served with a spicy, Golden Sauerkraut and yogurt. Click HERE for a recipe on how to make your own Golden Sauerkraut. If you do not have one, try using a cupcake pan or ramekins. BUT it is so much fun using a real idli steamer. Place the rice and urid dal in a medium glass, ceramic, or stainless bowl. Cover with filtered water by 2 - 3 inches and allow to soak for 4 - 5 hours or overnight. Strain the soaking water when ready, and place rice/urid mixture into a blender. Add in the 3/4 cup water. Blend until mixture is very smooth and has the consistency of a very thick pancake batter. Add in a little more water as needed, but be careful not to add in too much. Pour the mixture into a medium glass, ceramic, or stainless steel bowl. Cover with a clean kitchen towel. Allow mixture to ferment for at least 6 - 8 hours, preferably in a warm place, and away from light. When ready, prepare the idli steamer by brushing the compartments with the oil of choice. Fill each compartment with a good rounded tablespoon of the fermented batter. Steam for about 10 minutes or until idlis are set. (If you have an idli maker, then fill a large pot with about 2 - 3 inches water, and bring to simmer. Place the idli maker into the pot, cover, and steam. Serve idlis with chutney, sambar, yogurt, or any sauce that appeals to you. © KARENISCOOKING, COPYRIGHT 2014. ALL RIGHTS RESERVED. Posts may contain affiliate links. If you purchase a product through an affiliate link your costs will be the same but Kareniscooking will receive a small commission. This helps cover some of the costs for this site. We appreciate your support! Disclaimer. PAID ENDORSEMENT DISCLOSURE: In order to support my blogging activities, I may receive monetary compensation or other types of remuneration for my endorsements, recommendations, testimonials and/or links to any products or services from this blog. Please note that I only endorse products that are in alignment with Kareniscooking’s health principles and that I believe would be of value to my readers. What delicious recipes. Can’t wait to try the golden sauerkraut. 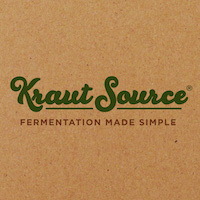 Click on image to visit Kraut Source. Copyright © 2011 - 2019 Karen Wang Diggs All Rights Reserved. Sign up for my monthy newsletter with yummylicious gluten-free & paleo recipes PLUS really really good health tips. We respect your privacy. Your email address will only be used for KARENISCOOKING and not be sold or shared.